Can you imagine a world before Photoshop? 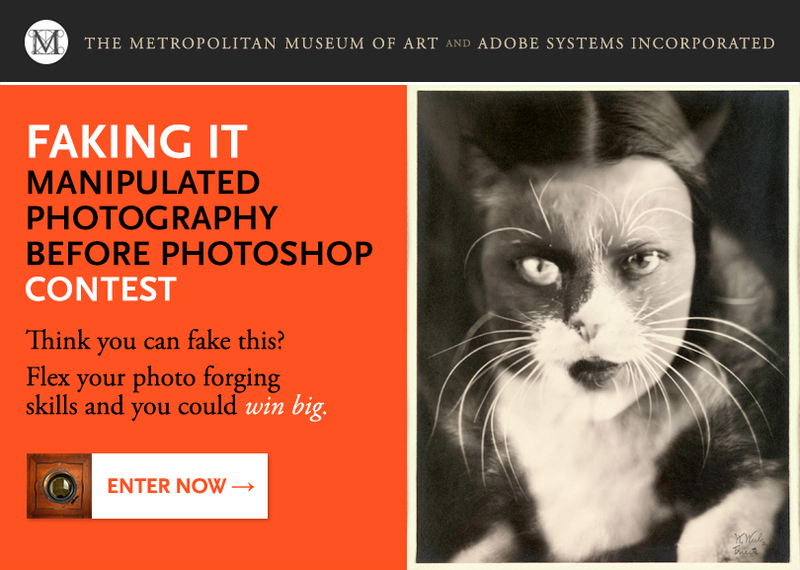 In partnership with The Metropolitan Museum of Art and their stunning exhibition of photos manipulated before the era of digital tools, the Faking It Contest challenged Adobe’s community to emulate the classic looks and traditions of the original image manipulation masters. 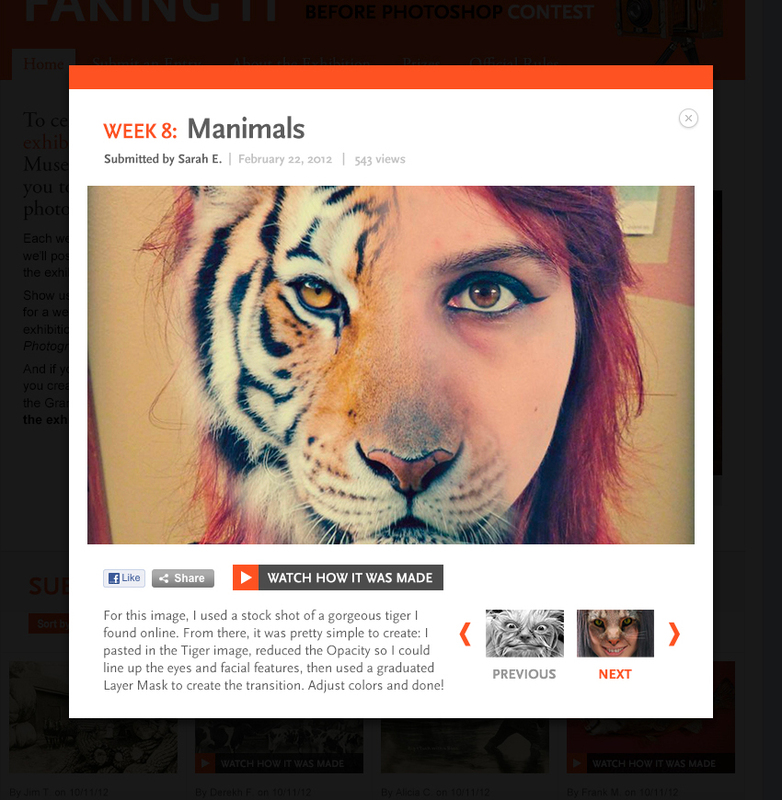 Each week, a new theme based on a historic photo from the 200-image collection was featured, setting the bar for Adobe’s rabid fans to show off their skills. Winning entries received a copy of the Faking It: Manipulated Photography Before Photoshop coffee table book, and a Grand Prize winner traveled to the exhibition in person.